During one of Aaron Gordon’s unforgettable 2016 NBA Slam Dunk contest dunks in which he put the basketball under his legs while hovering over the Orlando Magic’s mascot, there was a young woman in the background standing near stunned players by the bench calmly filming with her camera phone. Elise Gordon wasn’t surprised at what she saw in Toronto, since she attended all of the behind-the-scenes practices for perhaps the most beloved runner-up in NBA dunk contest history. From the time her little brother joined the Magic, big sister Elise Gordon has been with him through the good and the bad times. Now, it’s time for the “wing woman” to spread her wings. “Aaron knows he always has me in his corner and I’m no more than a text message or phone call away when he’s in need,” Elise Gordon told The Undefeated. For Aaron, Elise and the Gordons overall, basketball truly runs in the family blood. The 6-foot-6 Ed Gordon played basketball and football at San Diego State and had a short professional stint with the New England Patriots. Ed Gordon always used to bring his three kids, Drew, Elise and Aaron, with him when he played pickup basketball at Paul Moore “Cherry” Park in San Jose, California. Drew Gordon, 26, became a McDonald’s All-American who played at New Mexico and UCLA, in the NBA for the Philadelphia 76ers and currently plays for Lithuania BC Lietuvos. The 6-foot-1 Elise, 24, won two California state high school championships at San Jose Archbishop Mitty and played center at Harvard University. Of all the Gordons, none has had a more decorated basketball career than the baby, Aaron. He was a McDonald’s All-American who starred in one season at Arizona and earned 2014 Pac-12 Conference Freshman of the Year honors. The 6-foot-9 forward was selected with the fourth overall pick in the 2014 NBA draft by the Magic and is entering his third NBA season. Aaron Gordon had never lived on the East Coast until he was drafted by Orlando at age 18. The Gordon family believed it was best that the teenager had someone with him in Orlando full time during the start of his NBA career. With Elise Gordon graduating from Harvard in 2014, she was actually free to help her brother out. With Elise Gordon’s college graduation coinciding with her brother’s need, the family concluded that she was best qualified and most trustworthy to be his manager. “We wanted to have somebody with him his first year, and in terms of family I was the most mobile. It was either me or my mom, and who do you want going with you?” Elise Gordon said with a laugh. “It worked out well. Every once in a while you hear like, ‘OK, you’re his sister …’ And. ‘You got this because you’re his sister.’ Well, now you know I have a Harvard degree. You know, I’m qualified to do this. As Aaron Gordon’s personal manager, Elise Gordon had a long list of duties to keep her brother focused on basketball that began with finding him an apartment. It also helped that she was fluent in Spanish in the Spanish-speaking Orlando. According to Elise Gordon’s LinkedIn account, her list of daily duties for her brother also included: “Calendar and Schedule upkeep; Household management; Automotive Management; Social Media Management; Wardrobe Management; Appearance arrangements and logistics; Endorsement Management; Contract Review; Shopping and Food arrangement; Travel Assistance and accompaniment upon clients request, Gifts and Correspondence Management, Charitable giving and appearance management; Financial Oversight; Other services as needed and negotiated.” She was also given full access to her brother’s credit cards and bank account. When asked what made him comfortable being managed by his sister, Aaron Gordon had a long list. “Her credentials alone. Where she graduated from. What she’s into academically. How capable she is as an individual. The extension of her love for me. And then basically, me being naïve coming into the NBA at 18 years old. 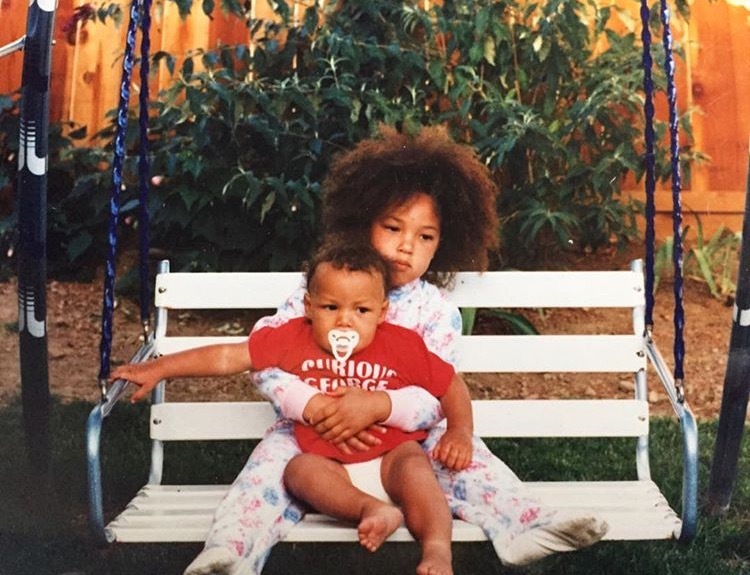 Aaron Gordon said his sister’s biggest challenge initially was not being so nice. She quickly became very good at preventing people from taking advantage of him. Elise Gordon had her other share of challenges as well from the beginning. Her brother suffered a fractured bone in his left foot just 11 games into his rookie season. He was ruled out indefinitely on Nov. 16, 2014, and would miss 32 games. Elise Gordon canceled a trip to the annual Harvard-Yale football game so she could be with her brother during his surgery in Charlotte, North Carolina. 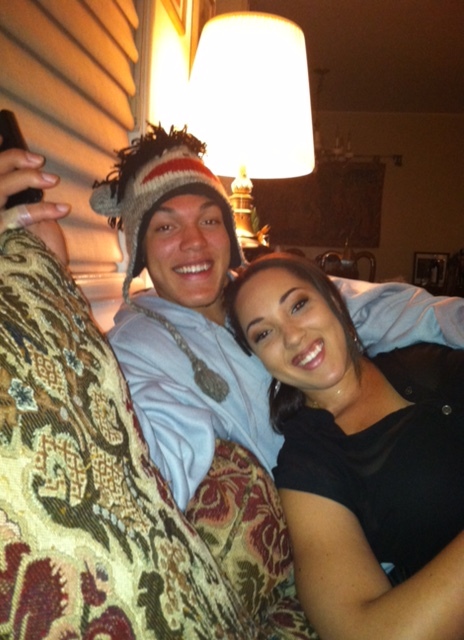 While Aaron Gordon was laid up on the couch in a cast postsurgery, he would shoot a basketball through his sister’s arms on the other side of the furniture. Aaron Gordon returned to action for the Magic on Jan. 18, 2015. He averaged 5.2 points and 3.6 rebounds in 37 games during the 2014-15 season. Another challenge Elise Gordon faced from time to time was making sure her brother lived up to his commitments. She countered with tough love. There was also one more job off the court for big sis, which was quite natural: keeping an eye on the girls her brother was interested in, which wasn’t hard since the siblings live together in an Orlando apartment and often hang out together. 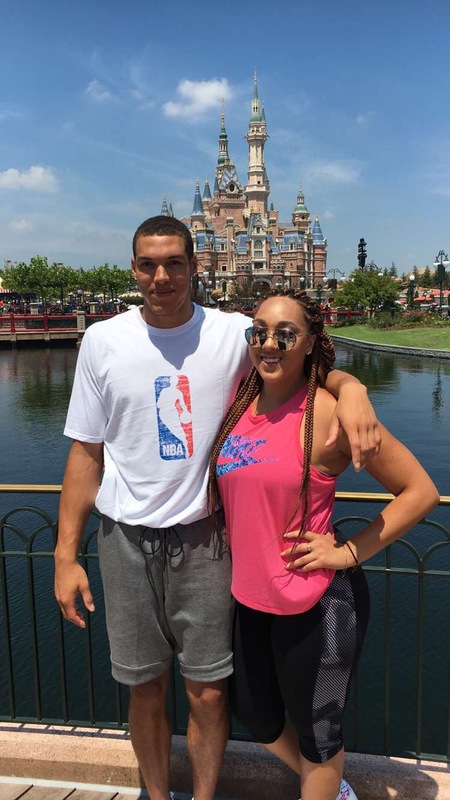 Aaron Gordon said he has a “good balance” with his sister in regards to his dating because while she has kept some at bay, she introduced him to others. “She has a lot of friends. She has a lot of very good-looking friends that she likes to bring around. That’s all the help that I need,” he said with a laugh. Aaron Gordon improved his sophomore NBA season, averaging 9.2 points and 6.5 rebounds last season. He impressed many friends and family members and Golden State Warriors All-Star forward Draymond Green when he scored 19 points and eight rebounds in Oakland, California. The highlight, however, of his career so far is unquestionably his performance during the 2016 NBA Slam Dunk Contest. Aaron Gordon and Minnesota Timberwolves guard Zach LaVine breathed life back into a recently struggling dunk contest with perhaps the greatest showdown since Michael Jordan and Dominique Wilkins battled in 1988 in Chicago. The eye-popping dunk contest between Gordon and LaVine was knotted at a tie during regulation. Gordon used Stuff the Magic Draft, the Magic’s 6-foot mascot, in his final dunk, leaping over him while passing the ball under his legs. LaVine, however, completed a between-the-legs dunk from the free throw line on the second tiebreaker to claim his second straight dunk contest. With the fans at the Air Canada Centre in Toronto and worldwide watching closely, a social media battle ensued about whether Gordon was the true winner. Elise Gordon said her brother’s dunk contest loss ended up being a blessing in disguise. “He was definitely recognized before the dunk contest,” Elise Gordon said. “But at this point we can’t go anywhere without somebody being like, ‘You were robbed!’ Or, ‘You should have won the dunk contest!’ And, that was like months ago at this point. Aaron Gordon returned to Orlando in preparation for his third NBA season wiser and a newly turned 21-year-old. Elise Gordon didn’t come back with him this time either. “As much as she was a safety net for me, I was a safety net for her. And it’s time to rip that Band-Aid off,” Aaron Gordon said.